The best in modern instrument design begins here, with our commitment to research and our responsiveness to the needs of dental professionals. Founded in 1973, LM-Dental quickly took the lead in ergonomic design with thicker handles, optimized shapes and elastic surfaces. Design concepts that began at LM-Dental have become industry-wide standards. Our constant communication with the professionals who use our instruments allows us to continue our leadership. Recent research here has resulted in LM-ErgoSense silicone handle. These soft, comfortable grips allow exact manipulation of instruments and give excellent tactile feedback. Sharpen free instruments from LM-Dental are a great step forward in procedure efficiency and cost savings. Non-stick restoration instruments simplify the restoration process with surfaces that release and glide over resins. Black working surfaces make instruments contrast with teeth and resins to allow more efficient work. RFID technology built into LM-ErgoSense grips, together with scanning readers and software, comprise our unique dental tracking system. 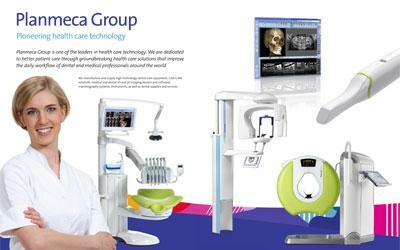 The system saves practitioners time and money and helps offices run smoothly. Learn more at dentaltracking.com. Dedication to manufacturing excellence makes LM-Dental instruments precise, durable and reliable. Our research continues from design through manufacturing, allowing us to produce instruments that meet exacting standards, perform excellently, and give extended, reliable service. All LM-Dental products are produced in Finland and Sweden. We combine advanced production technology with fine hand craftsmanship to deliver instruments unmatched in function and reliability. We are the fastest-growing European manufacturer of dental hand instruments and the market leader in all Nordic countries. Over 80 percent of our products are exported globally.